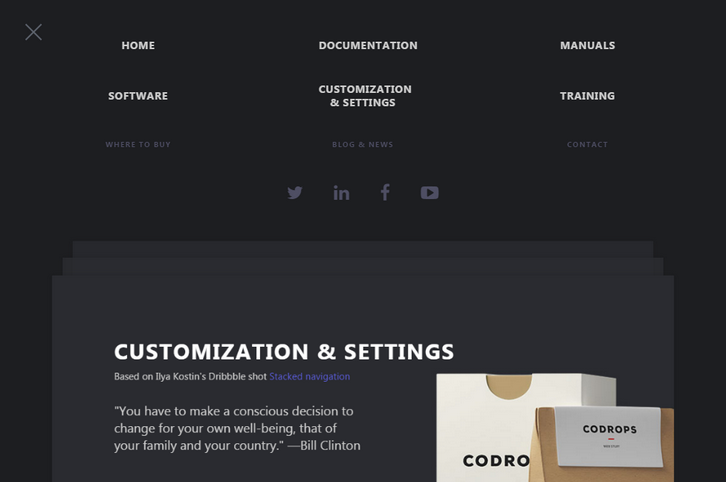 Codrops has just published a Page Stack Navigation template for a simple page stack navigation based on the Dribbble shot by Ilya Kostin, Stacked navigation. The idea is to show a navigation when clicking on the menu button and transform all pages in 3D and move them to the bottom of the viewport. The next two pages are shown in the back of the current page as a stack. When clicking on a menu item, the respective page comes up.